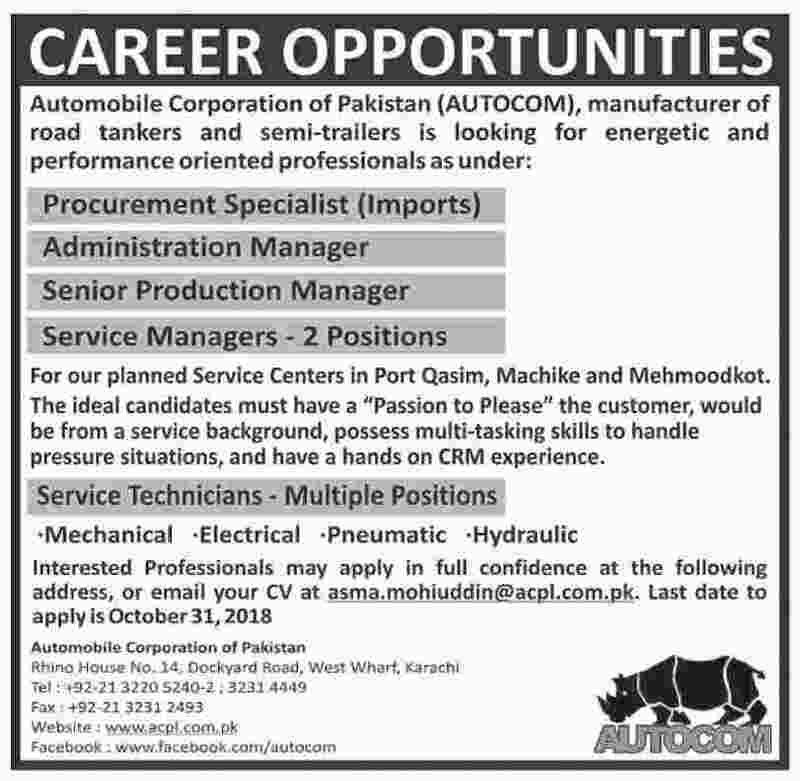 Automobile Corporation Of Pakistan (AUTOCOM) Karachi Sindh. For our planned Service Centers in Port Qasim, Machike and Mehmoodkot. The ideal candidates must have a "Passion to Please" the customer, would be from a service background, possess multi-tasking skills to handle pressure situations, and have a hands on CRM experience. Interested Professionals may apply in full confidence at the following address, or email your CV at asma.mohiuddin@acpl.com.pk.